Dolphins are known for their habit of breaching out of water. Everyone knows about the jumping dolphins. Do you know why they jump? Actually, there are different theories regarding such behaviors of dolphins. Different scientists have advocated different reasons. The jury is still out. Here we will discuss about these. Density of sea water is about 1020 kg/cubic meter. With a mean density of 1.2kg/ cubic m air is about 1000 times less dense than water. So, you need only a fraction of energy of swimming to go through air. Jumping is a nothing but crossing some distance via air. So, some scientists believe that the dolphins often jump out of the water to save as much energy as possible while maintaining their speed. The land animals use water to clean themselves. Some people believe that some aquatic animals like dolphins use air to clean themselves. Dolphins are inhabitants of the sea and some rivers and lakes, too. Many types of parasitic creatures from these water bodies attach themselves with dolphins. Dolphins are warm blooded mammals. That’s why they can attract much more types of visible and invisible parasites than sharks or other fishes. According to some, these violent breaching out of the water and falling down with violent splash cleans them from such nuisances. So, it can be a valid reason. Dolphins are not some dumb fish like creatures. They are mammals like us. They are very intelligent animals. They communicate with each other by various means. Breaching can be a method of communication in the dolphin’s language. By jumping out of the water they may show dominance or it can also be a courtship ritual. According to some it is used to communicate some message from one dominant alpha to the entire group. Air has better visibility than water. 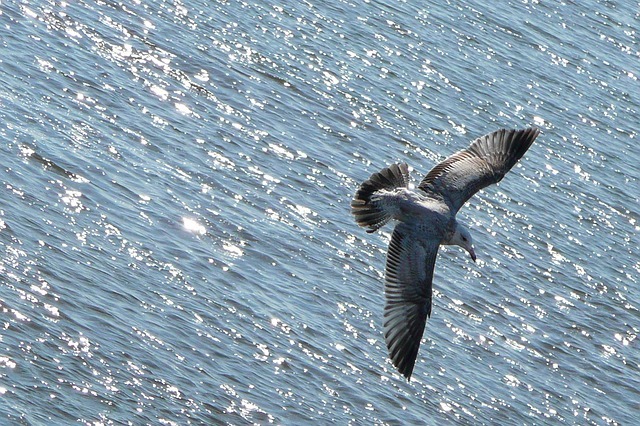 You can see things farther away in air than water. The dolphins may jump out of water to view better. They can jump to watch the ocean surface and spot a school of fish many miles away. They can also spot the predators or threats like sharks or humans better from outside of the water. 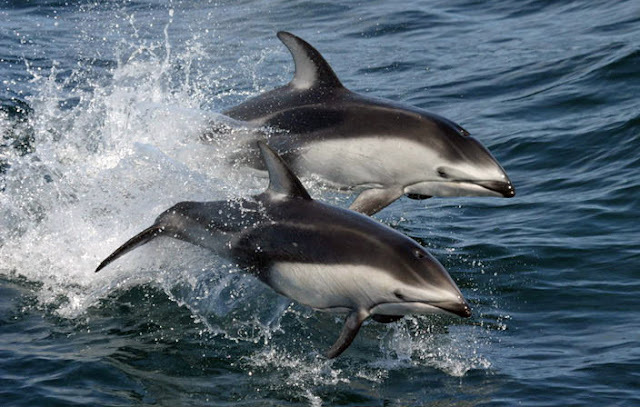 It can also help to locate another pod of dolphins near them. Intelligent animals can sometime do things just for fun. So, it is entirely possible that the dolphins do their jumping acrobatics just for fun. We all know that they are playful creatures. It can often be seen that some dolphins are surfing the waves or swimming with boats just to enjoy themselves. Dolphins are aquatic mammals. They belong to the cetacean group just like whales. 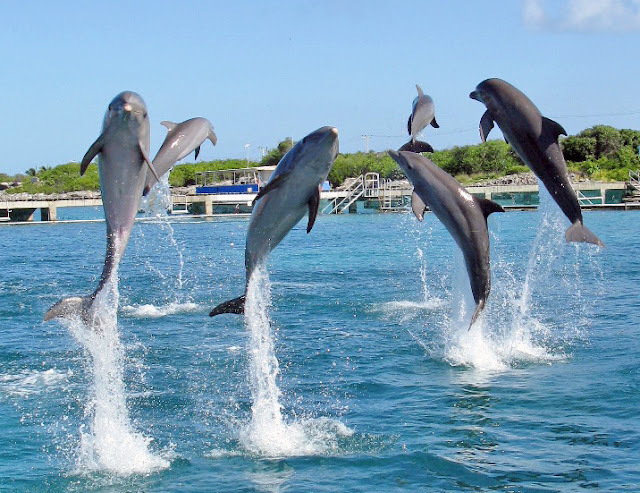 Almost every cetacean has the tendency to jump out of the water. Humpback whales are most well known for that behavior. 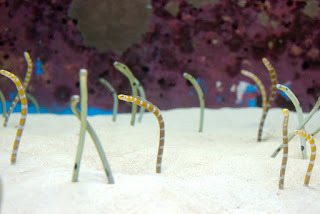 The reason behind their breaching behaviors can also be the same. 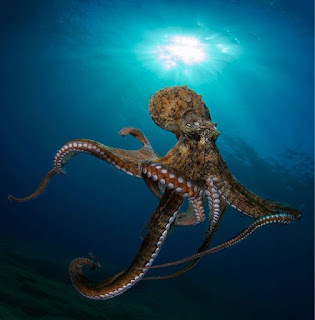 Feel free to check our other interesting articles about marine animals. Don’t forget to check our twitter handle or the facebook page. 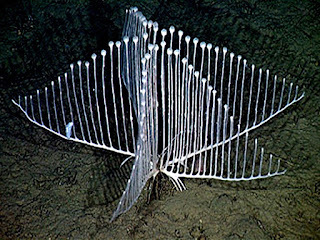 The Harp Sponge is the Most Weird Looking Creature ..